How to win a Mayoral Election in Times of Recession. Stand-up Paddle boarding or SUP, is cool, no, I mean really cool. It is minimum effort, maximum result, doesn’t pollute the seas, is quiet, environmentally friendly, tones the abs and calms the mind. The fact that it is also a term that really cool people use because they are too damn lazy to say “What’s up” (too much effort involved there man.) is just a coincidence. Jet skis are fine if you don’t mind everyone glaring at you as you are noisy and polluting, and let’s face it, you do look a tiny bit 2016. For the cool ones, of any age really, it is all about the SUPs now. 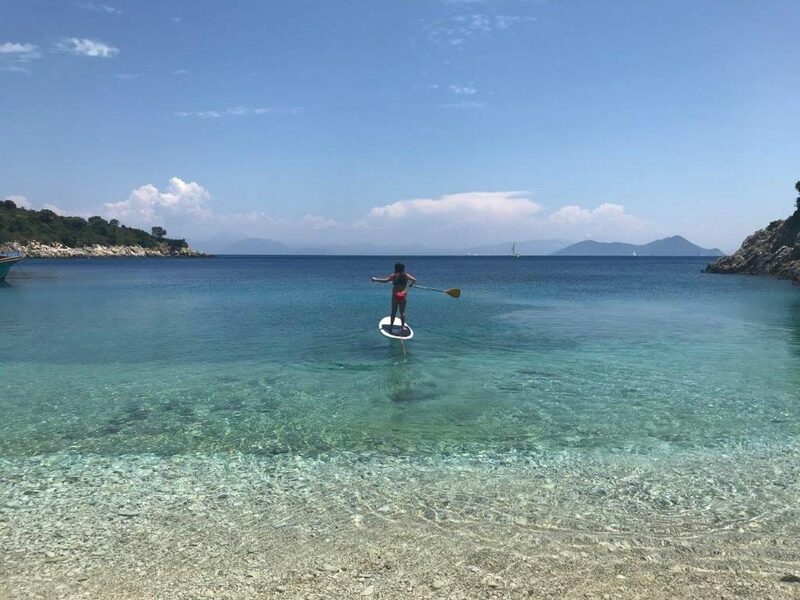 Luckily, Five Star Greece has a dedicated SUP-er on the team. 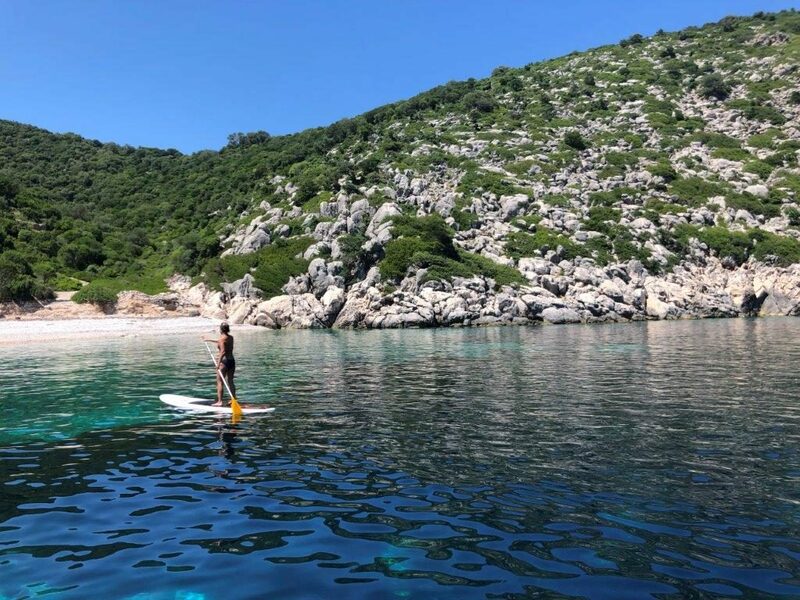 I have paddled in Austrian lakes, German lakes, English rivers, and I can say with one hundred percent certainty, that the Ionian island of Ithaca in June or September is the best place in the world to do your Stand Up Paddle-boarding. Glass-still seas, transparent warm water, no currents, countless secret coves and beaches to rest in, dizzyingly striated cliff faces where copper, pewter, silver, gold and chalky white are all reflected in the turquoise water, it is SUP heaven. The goats stare at you curiously as you serenely float by deserted beaches, small fish slip under the board as your shadow passes on the sea bed underneath you, and an afternoon sun pours down like honey, as Leonard Cohen once wrote. Leonard Cohen would have definitely been a cool SUP-er. Not a jet-skier. 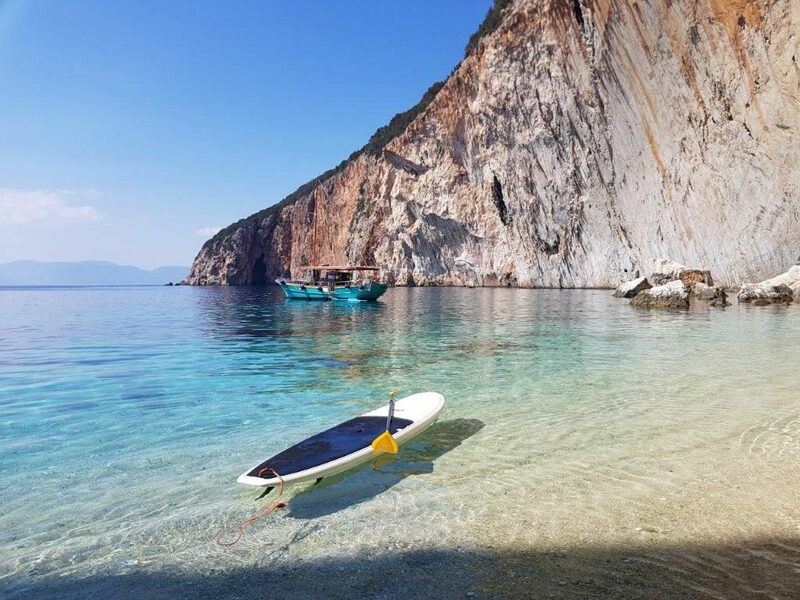 Call us to ask about our luxury beach villas with paddle boards, on Ithaca and Lefkada. I confirm that I would like to receive email newsletters from Five Star Greece.